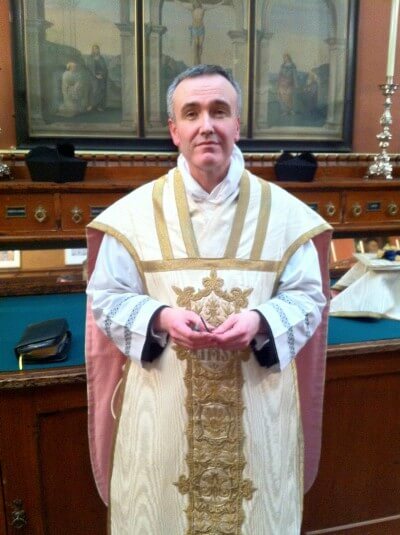 Father Dominic celebrated the evening Mass on the feast of St Mary Magdalene, wearing the same vestment in which he was ordained on the same day in 1989. Bishop Robert preached at the Mass, and Fathers also came down from York. Here are the original "Birmingham Three", who arrived in Oxford in 1990. 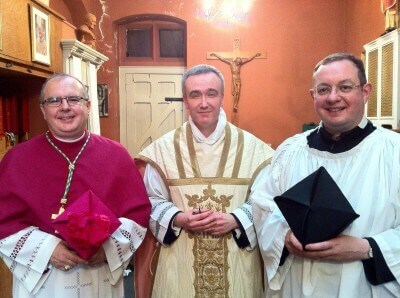 From left to right: Bishop Robert Byrne, Fr Dominic Jacob and Fr Richard Duffield.